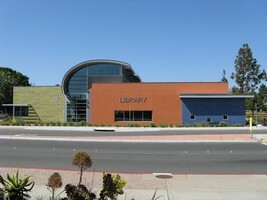 The Imperial Beach Branch of the San Diego County Library system is located at 810 Imperial Beach Blvd., at the south end of Veterans Park. The Friends of the Imperial Beach Branch Library, a 501(c)(3) charitable organization, normally meets at 8 AM on the third Monday of the month at the library. The library phone number is 619-424-6981. Monday & Thursday 9:30 a.m. – 6:00 p.m.
Tuesday & Wednesday 9:30 a.m. – 8:00 p.m.
Friday & Saturday 9:30 a.m. – 5:00 p.m.
Used books, movies and audio books are for sale in the new bookstore.